Achieving a high metabolism is big business: thousands of books have been written on the topic along with countless workout DVD’s and specialty gyms all designed to jack up that metabolic rate. Even your very own personal trainer subjected himself to years of schooling to try and grasp an understanding of what makes up your metabolism. Like most things in life, metabolic processes are not just black and white issues, and this can lead to a lot of frustration for many. In this edition of UEFP Nutrition Coaching we’ll focus on what aspects of nutrition regulate your metabolic rate. To make things simple we’re going to discuss how food impacts our metabolism; we’ll leave the workout aspect of it out of it for now. Now let’s chat about how to jack up your fat burning furnace. Metabolism – Nature or Nurture? To dissect things down into the easiest relevance, your metabolic rate is simply the sum of all the things your body builds along with all the items your body breaks down. We want to build things like muscle and bone while we want to get rid of excess bodyfat. Sometimes though our body plays tricks on us and ends up adding more bodyfat while getting rid of muscle. Some guys and gals are just born with all the luck. A big regulator of your metabolism are your hormones, such as testosterone and insulin. 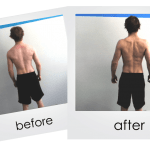 Individuals that are genetically predisposed to having more muscle mass are going to have a higher metabolic rate – we all know someone that seems to be able to eat what they want and can still keep those washboard abs. On the other side of the coin lies certain individuals who have poor insulin profiles and tend to store more bodyfat than others. However, lifestyle will catch up with anyone and that’s why it’s important to develop good habits regardless of what genetics you were blessed with. For example, insulin control is essential to maintaining a strong metabolism (insulin is a hormone that carries nutrients into our muscle and fat cells). Eating lots of simple sugars, neglecting protein, and eating infrequently (i.e. going 6 or more hours inbetween meals) can all cause disruptions with your insulin. Extreme diets – like those that make up nutrition fads or celebrity diets – do work. For a while. It’s one thing to lose 30 pounds, but it’s a real achievement to keep those 30 pounds off 5 years down the road. Quick diet trends will lose weight at any cost. You may lose weight fast but it’s possible to set yourself up for long term failure. This failure occurs because of destruction to your metabolic rate. 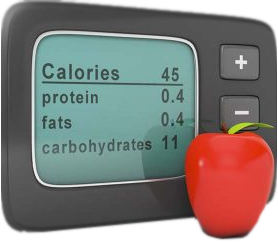 In an interesting research study, subjects consumed a very low calorie diet (1,000 calories and less) in order to lose weight. The subjects did drop a lot of pounds, but they also lowered their metabolism. As a result of the low calorie diet, subjects had an average drop in their metabolism of 24% (1)! That would be like me giving you 500 dollars on the spot but then reducing your yearly salary by 24%. Chances are you’d probably just decline my offer. You should do the same when it comes to fad diets. So What Influences my Metabolism? Besides exercise and regular activity, foods have an impact on your metabolic rate. For one, consuming a very low calorie intake can lower it. Metabolism mimics calorie consumption; eating adequate calories is one way to keep a high metabolism. It may take longer to lose weight, but that’s because you’re preserving your muscle mass (which cause the scale to creep down rather than just plummeting). What usually happens at UEFP is that as clients get leaner, I need to increase their calorie intake. The amount of lean tissue you have (i.e. muscle) influences metabolism as well. Proper nutrition ensures that your body has the calories it needs to build muscle – scientists call this “nitrogen balance.” If you have adequate protein, your body is in a positive nitrogen balance, meaning that your body has all the resources it needs to build muscle, burn body fat, and keep your immune system strong (2). Like we stated in the beginning, losing the wrong weight means possibly losing muscle mass, resulting in a lowered metabolic rate over time. If you want to be able to eat food and not worry about storing it in the wrong place, then you should prioritize putting some muscle on. The best way to preserve, or build, your muscle mass is through consumption of adequate protein. When subjects consumed a meal consisting of mostly protein they had an elevated metabolic rate for the following seven hours (3). This elevation was significantly higher than what happened when subjects ate a meal high in carbohydrates. One of the first things we tackle here at UEFP is protein intake. When clients hit a weight loss plateau I then have them increase their protein intake. Keep in mind that building muscle mass doesn’t make you a bodybuilder. I could slap 5 pounds of muscle on your whole body and you probably wouldn’t notice a huge change. Adding 20 pounds of muscle would give the appearance of “bulk,” but it would take about 3-5 years of hard training to accomplish that. You can’t add muscle by mistake, so you’ll only look like a bodybuilder if you intend on being one. -A general rule of thumb is to eat every 3-4 hours (minus sleeping). That equates to 4-5 meals/snacks a day. -Each meal should be based around a lean protein. Even if it’s a snack, use Greek yogurt, cottage cheese, or a protein supplement (not bars please). Stick with your intervals and meal plan. Make sure you’re not consistently skipping meals. 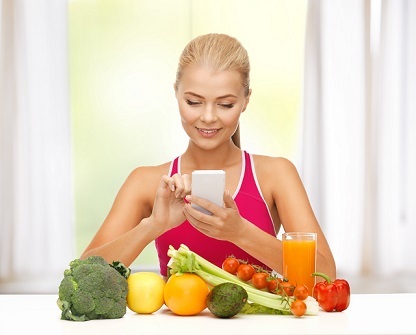 If you still have questions, you can always schedule a nutrition consultation with your personal trainer!